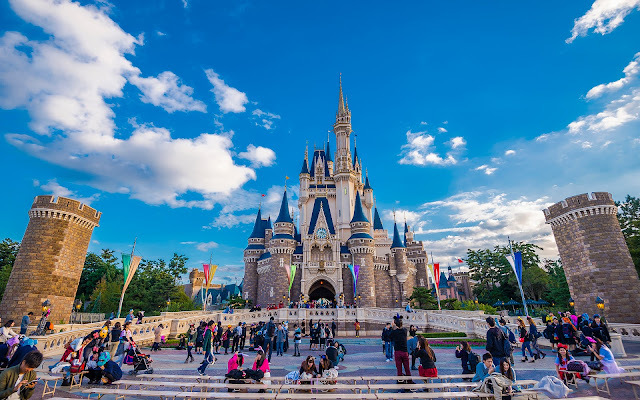 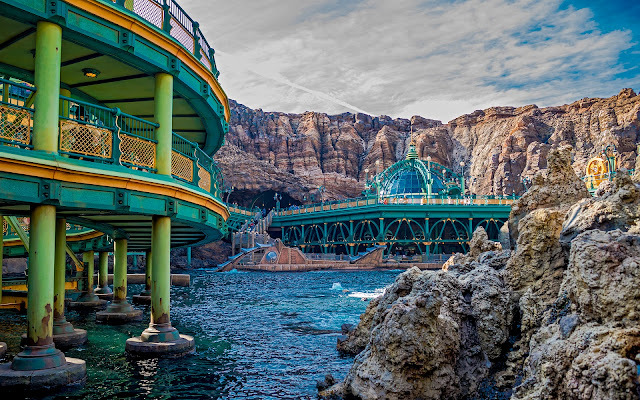 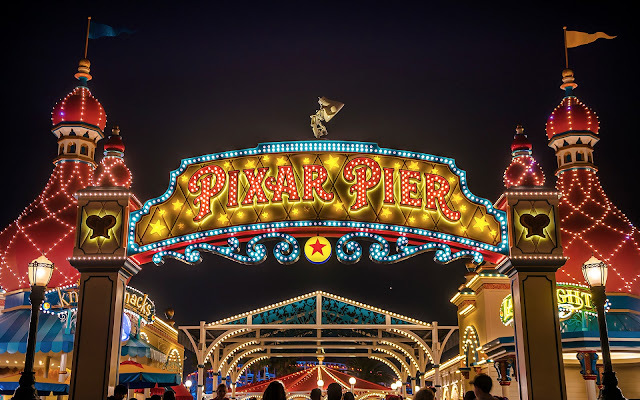 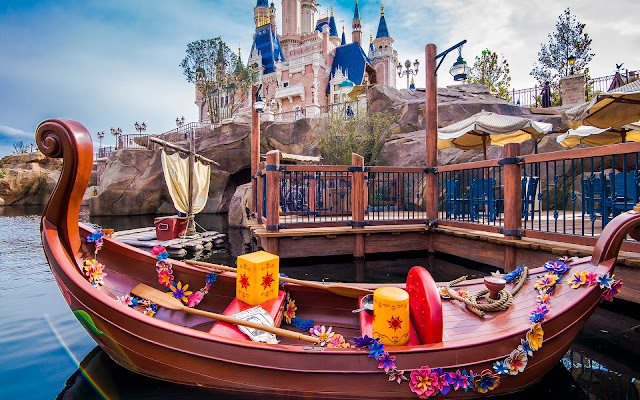 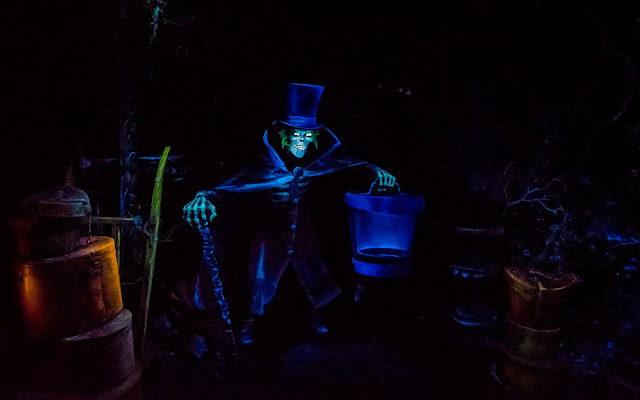 I recently got a new 20mm f/1.8 prime lens, which is basically just a wider version of the 28mm f/1.8 lens that I sold a little while ago, and I've been testing it out here and there on various attractions. 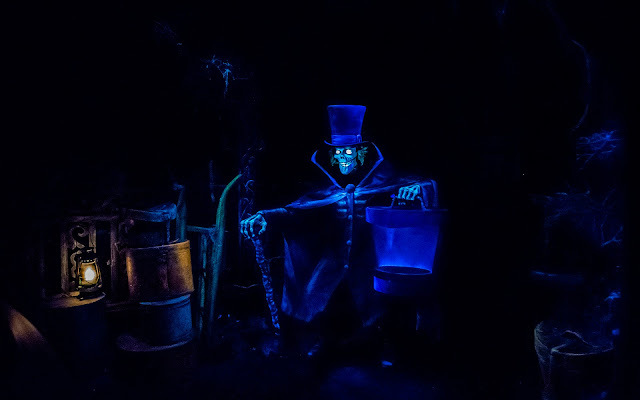 I posted about Pinocchio earlier this month, and today, I've got a few not-completely-terrible snippets from the Haunted Mansion. 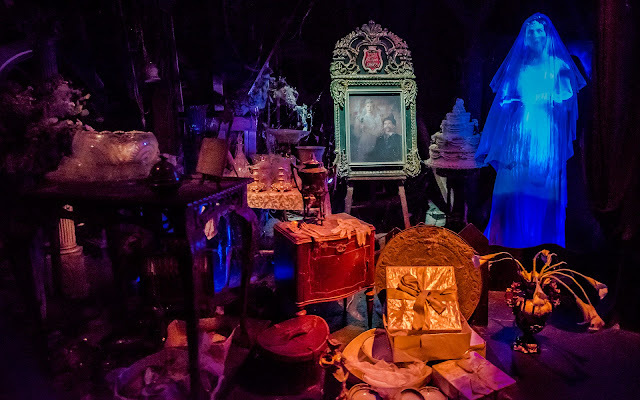 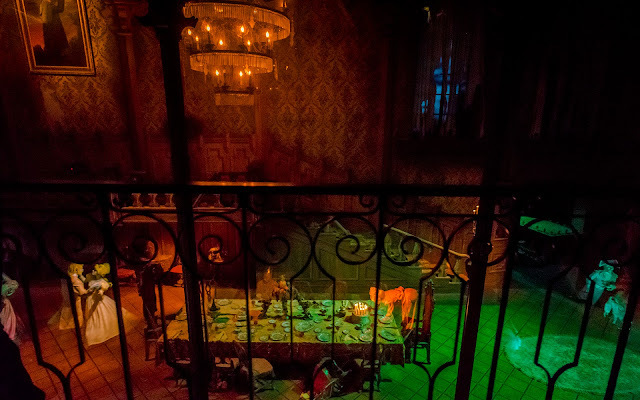 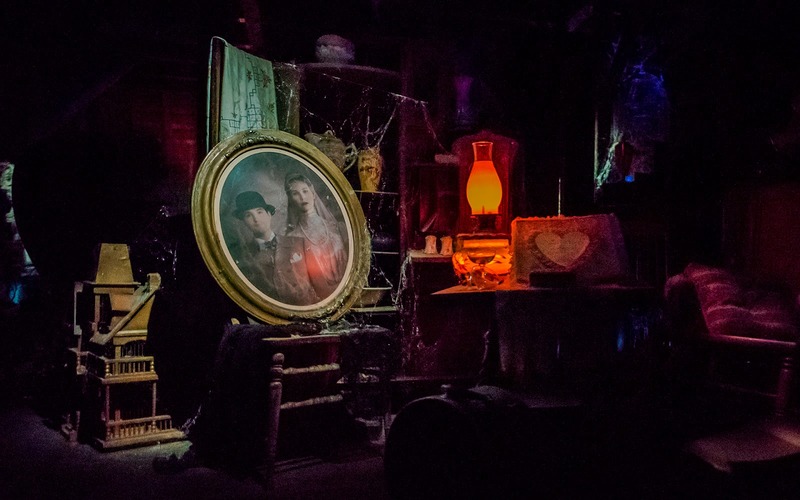 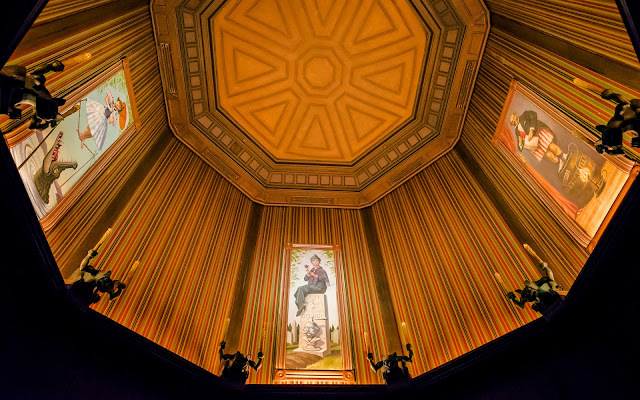 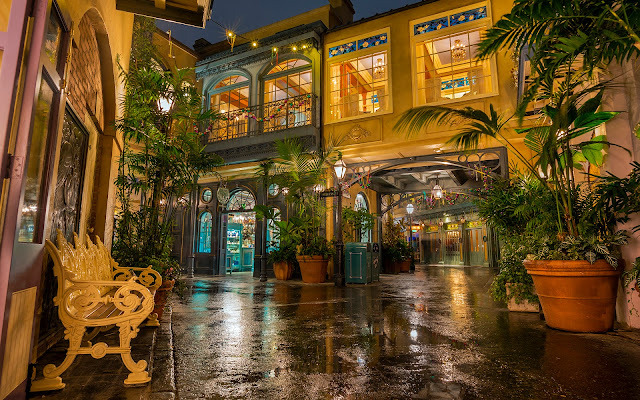 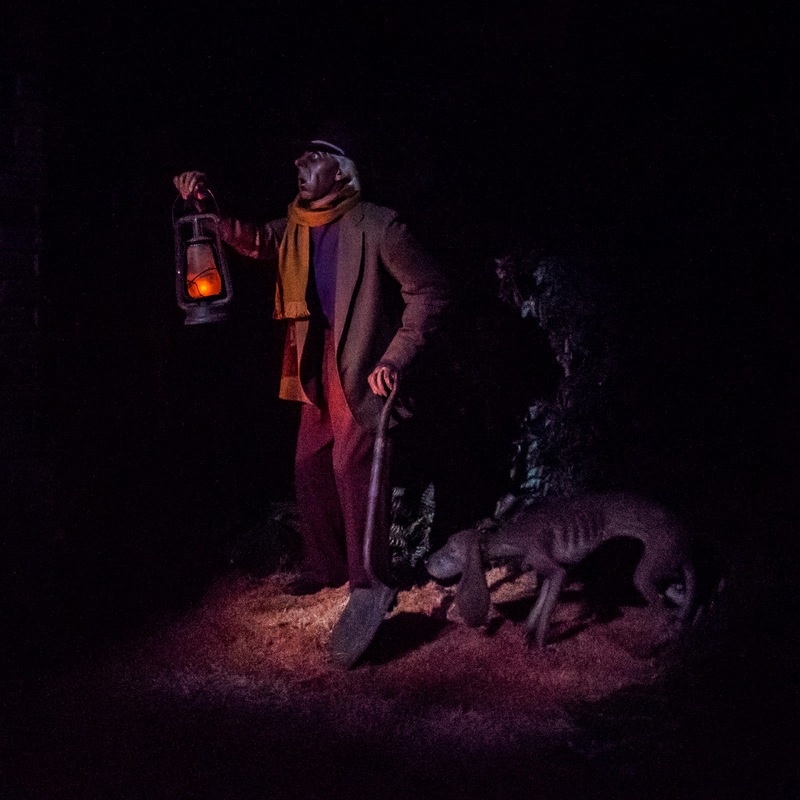 Although the lens is very wide and outfitted on a great low light camera body in my Nikon D750, the Mansion is still an exceptionally dark ride, so my initial settings haven't gotten quite as much detail as I'd like. 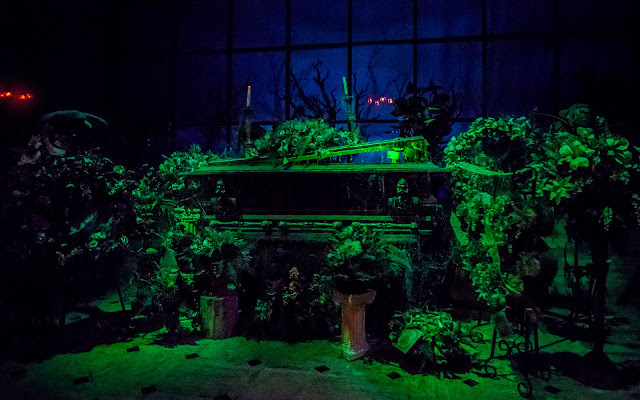 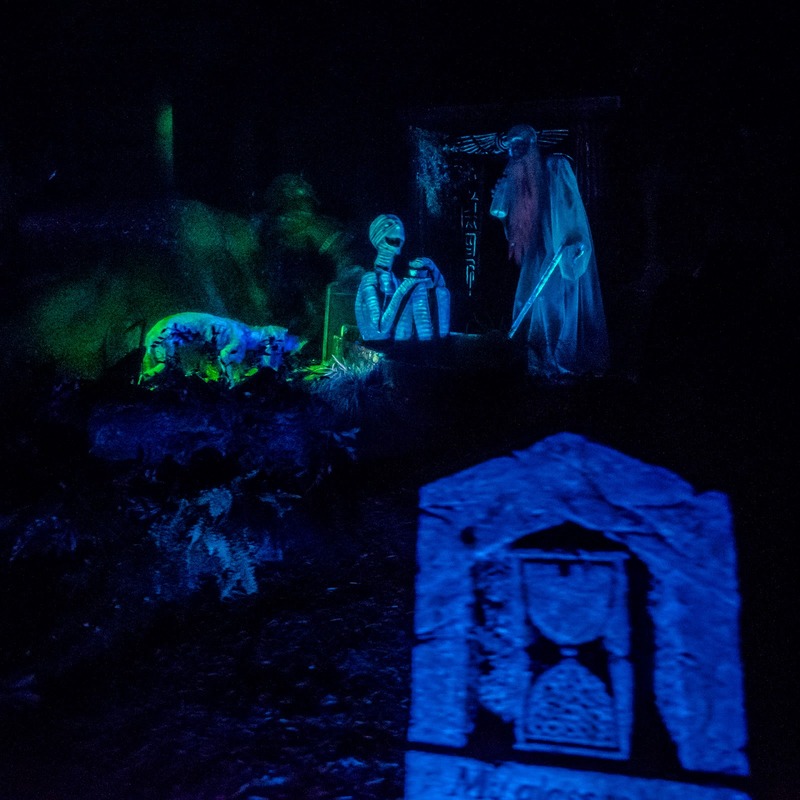 But there are some fun shots, including from the graveyard scene, and I'll keep on playing to see what spectrally striking images I can capture!